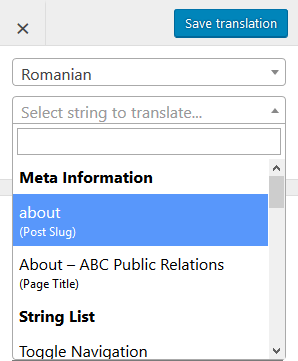 To translate the above, simply select them from the string list under Meta Information, enter their translation and click “Save translation”. The addon also adds support for Yoast SEO Sitemaps so they correctly represent each individual translation. The translation alternate links are implemented as specified in the Google Webmasters documentation. The SEO Pack add-on is only available in the premium versions of the plugin.